At the conclusion of each exam, a wealth of student assessment data is immediately available to faculty. The short term value of this data is evident – evaluate individual question performance. However, that’s only the beginning. Assessment data provides opportunities for in-depth analysis on course, curricular, and instructional method performance. Furthermore, specific performance data can be distributed to students to drive their self-assessment and focused study plans. 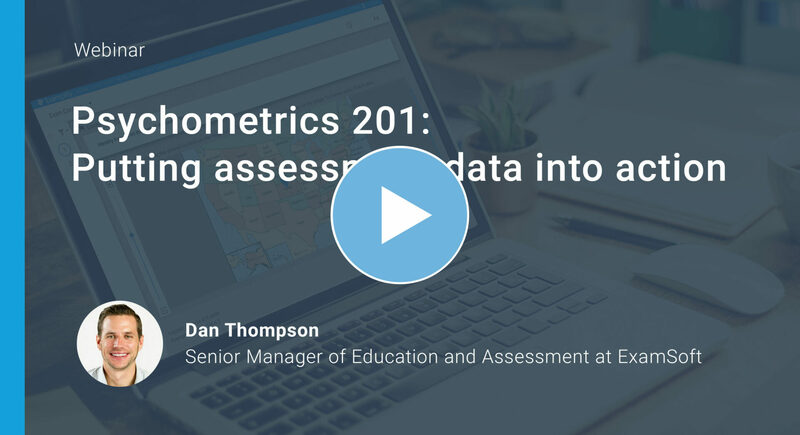 This presentation addresses the process of using assessment data to make tangible changes to improve instructional and student outcomes. Provide meaningful feedback to students for self-assessment. Evaluate effectiveness of teaching methods. Apply use of exam data for student remediation.